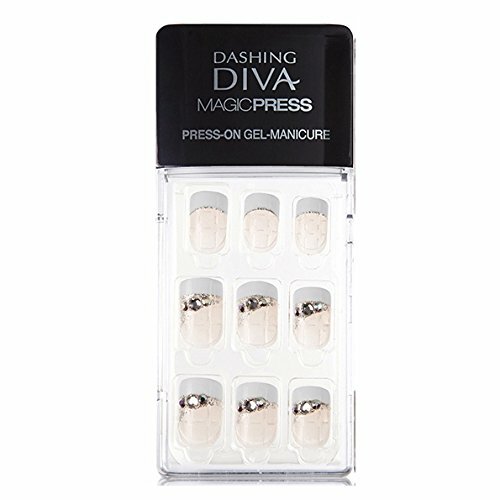 Dashing Diva Magic Press #141 Wedding Day Full Cover Gel Nail Tips, Easy to attach without Glue (Asian Type, Disposable) MIPA83 by Dashing Diva at Ms Deane. MPN: Dashing Diva. Hurry! Limited time offer. Offer valid only while supplies last. Using a built-in "Prep Pad", after removing the oil, water in the nail, the nail is used. Attach attaching close to the cuticle line, it gives press 3-5 seconds to prevent air from entering between the nail and nail. Hottest Item in South Korea. TV Shopping consecutive sold out. If you have any questions about this product by Dashing Diva, contact us by completing and submitting the form below. If you are looking for a specif part number, please include it with your message.